Demetrio “Nene” serving his (almost blind) wife and grandson todays lunch. Simple but tasty. Viñales, Cuba. January 9. 2005. 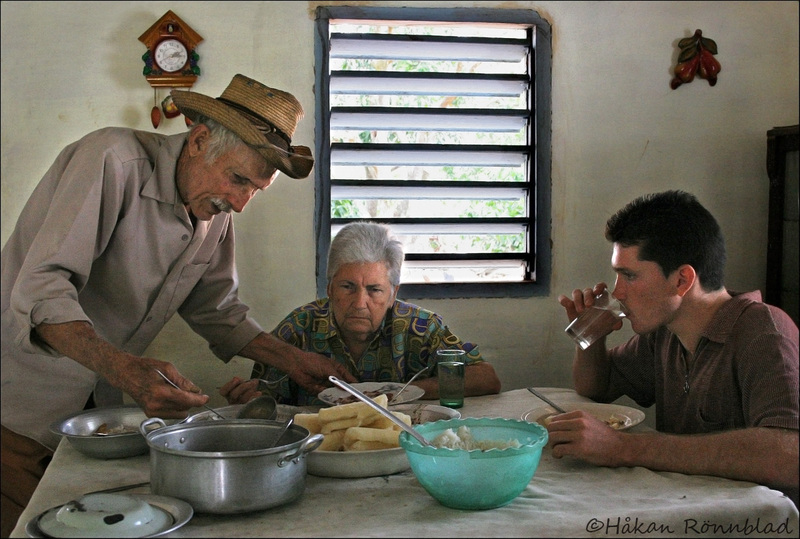 This entry was posted in Cuba, photography and tagged Arroz con yuca y pollo, blind, Cuba, Cuban food, Demetrio, Kuba bilder, lunch, Nene, Pinar del Rio, portraits, Viñales, yuca. Bookmark the permalink.